On the brink of calling it quits, a spark between a long-married couple suddenly reignites, leading them into an impulsive romance. 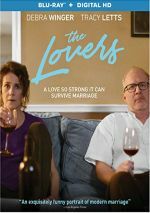 For a tale of later-in-life romantic relationships, we head to 2017’s The Lovers. After years as a couple, Michael (Tracy Letts) and Mary (Debra Winger) drift apart. 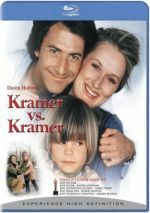 This leads both to affairs and leaves their marriage on the brink of dissolution. However, unanticipated forces intervene to reignite their relationship in unusual ways. In a semi-ingenious move, Lovers treats marital fidelity as a form of “indiscretion”. At the movie’s start, Michael and Mary remain firmly ensconced in their affairs, so when they reconnect with each other, it feels like that’s a form of cheating. Lovers pulls this sequence off well, as it depicts the distance and tenuous nature of the marriage in a satisfying manner. The impromptu reconnection between the leads comes as a real surprise and gives the movie a jolt. However, this choice quickly turns too clever for its own good because it begins to feel farcical. Lovers presents the Michael/Mary relationship as an affair during which those characters lie and finagle to hide from their actual extramarital paramours. A little of this goes a long way, and Lovers doesn’t have the substance necessary to sustain interest across its 97 minutes. The movie starts well enough, as the first act draws us in, but once the marriage becomes the “affair”, it all goes south, and attempts to embrace melodrama during the third act fizzle. A review blurb on the Blu-ray’s cover claims the movie offers an “exquisitely funny” experience, a note that makes me wonder if I saw the same film. While Lovers leans toward some dry humor, one may struggle to find actual laughs in this flick. Not that understated humor is a bad thing, of course, but Lovers seems to mistake a vaguely wry, skewed sensibility for comedy. The film does come with a good cast. Winger seemed to largely vanish after her 1980s heyday, so it’s fun to see her back in a lead part, and she brings charm to the part. Letts also adds credibility as Michael, and the two interact well. Too bad Lovers comes with so little substance. Honestly, it feels more like an extended sketch than a fully-realized movie, as it simply doesn’t have enough story and character development to fill out 97 minutes. The Lovers appears in an aspect ratio of approximately 1.85:1 on this Blu-ray Disc. The movie came with a positive presentation. Sharpness largely worked well. A couple of interiors demonstrated a smidgen of softness, but the majority of the flick displayed nice delineation and accuracy. Lovers went with palette that favored a chilly form of teal, with some orange tones tossed in at times. Within the movie’s color design, the hues seemed solid. As for the DTS-HD MA 5.1 mix of Lovers, it showed scope typical of its context. This meant a limited soundscape without much to make it stand out from the crowd. A chatty film, much of the soundfield remained limited. Audio quality seemed good. Speech was distinctive and natural, without edginess or other issues. Music seemed warm and lush, while effects showed nice clarity and accuracy. Again, nothing about the mix impressed, but it suited the story. A few extras fill out the set, and we launch with an audio commentary from writer/director Azazel Jacobs. He provides a running, screen-specific look at the project’s origins and inspirations, story/characters, music, cast and performances, sets and locations, and connected domains. For the film’s first act or so, Jacobs gives us a pretty insightful track, but the discussion loses strength as it goes. While Jacobs still contributes some good material, he tends to narrate the film too much of the time. Still, the commentary works reasonably well overall. Two featurettes follow, and The Music of Romance lasts 13 minutes, 51 seconds. It provides notes from Jacobs and composer Mandy Hoffman as they discuss the movie’s score. Though a little self-congratulatory, “Romance” presents some useful info. A Complicated Passion goes for 19 minutes, 23 seconds and features Jacobs and actors Debra Winger, Tracy Letts, Melora Walters, Aidan Gillen, Jessica Sula, and Tyler Ross. “Passion” looks at the film’s roots and story/characters, cast and performances, sets and locations. “Passion” covers production basics in a moderately satisfying manner. The disc opens with ads for 20th Century Women, Dean, Moonlight, and The Sense of an Ending. No trailer for Lovers appears here. Parts of The Lovers give us an interesting twist on the relationship genre, and its actors fare well. Unfortunately, the movie fails to explore its roles and themes in a satisfying way, factors that make it unfulfilling in the end. The Blu-ray comes with very good picture and adequate audio as well as a decent collection of bonus materials. The Lovers gives us a mediocre tale of marriage.